Similar to my reinterpreted ham and swiss wrap, this version with honey mustard, deli sliced chicken, swiss and spinach definitely pleased. With a side of carrot chips and hummus in the background my lunch was made! 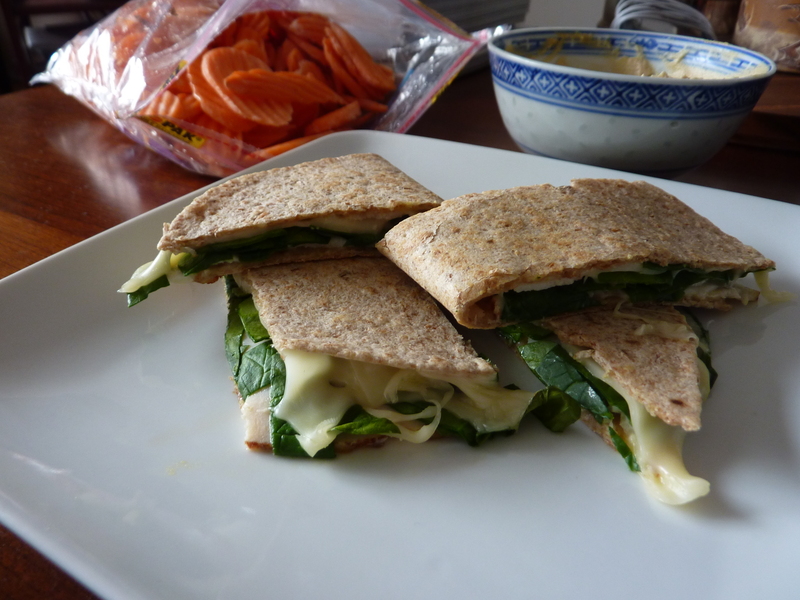 This entry was posted in Culinary Adventures and tagged easy, Lunch, Quesadilla. Bookmark the permalink.